"Today's investor is under the influence of a 24-hour media that thrives on sensationalism. Our community is in need of a clear, trusted voice to drown out the noise and make sense of the important financial issues facing everyday people. This is why we choose to hold our last meeting of each day with our dedicated listeners on MoneyTalk." 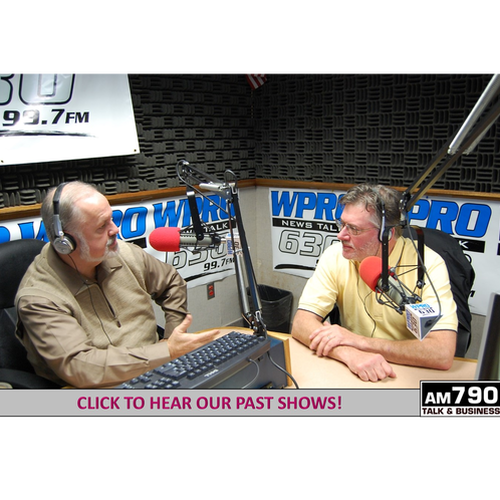 WEEKNIGHTS AT 5PM, ON AM790. LISTEN BELOW, OR SEARCH "DON SOWA'S MONEYTALK" WHEREVER YOU GET YOUR PODCASTS! Listen to "WPRV- Don Sowa's MoneyTalk" on Spreaker. When inheriting IRA assets, non-spousal beneficiaries have several different options, which can have drastically different tax implications. Don and Donna discuss how you can use these rules to your benefit. Planning on retiring this year? Not so fast. Don discusses some key items that you should check off your retirement to-do list before hanging up the gloves for good. When early retirement is on the table, it can be difficult to turn down. However, before you start planning your move to Palm Beach, there are some important considerations that could bear long term consequences. Knowing how much income you’ll need to draw from your investments in retirement is critical to your planning strategy. Don discusses the importance of stress testing your retirement plan. Among the various types of retirement accounts, few carry the complex rules or steep penalties of the inherited IRA. Donna Allard offers tips on how to avoid the costly mistakes with inherited IRAs. From "Tulip Mania" in the 1600's, to the Housing Bubble of the last decade, the markets have watched countless financial "bubbles" throughout history. But with some analysts predicting the bursting of another market bubble in the near future, what, if anything, have investors learned? After the surprise election of Donald Trump, investors will be watching as new opportunities emerge throughout the financial markets. 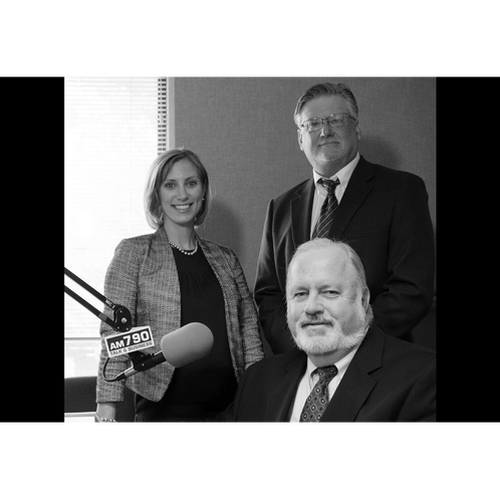 Hear the MoneyTalk team's take on investing in the new Trump economy. The oil industry will forever be defined by the rise of Standard Oil. In this edition of our Market Historian Series, Nathan and Steve Beauvais explore the oil giant's breakup, and eventual reunification as Exxon Mobile. When should I begin claiming my social security benefit? Timing your benefits properly can have a significant impact on your retirement income. Don & Donna discuss some important factors to consider when making your decision. Our Transition Planning series explores the process of preparing aging parents for life's transition. Part 2 addresses the transition in living situation as we age, and the issues that are often unaccounted for when planning for this emotional shift in independence. In the 1980's Japan's GDP had grown ten fold from its level just two decades earlier, and its 16 largest commercial banks held a combined market cap that was 6 times larger than the 50 largest US banks, at the time. This segment of our Market Historian series delves into one of history's greatest, and least discussed financial bubbles. After Great Britain's unexpected exit from the EU, where does that leave investors? Don & Donna discuss the negative impact being felt in the UK, as well as the opportunities taking shape domestically. With Great Britain voting on their potential exit from the European Union, Don & Donna look at the possible global economic ramifications of such a decision. Budgeting can be a daunting task for individuals in any stage of life, however, retirement can present unique budgeting challenges as retirees are often forced to adjust to new income limitations, and unanticipated expenses. Our Transition Planning series explores the process of preparing aging parents for life's transition. Part 1 focuses on the legal side of protecting your estate, and the benefits of early planning. When helping a family member in financial distress, seniors often turn to their retirement savings. Don & Donna explain the potential impact that over-generosity can have on your retirement income. The Department of Labor passed a new rule designed to protect retirement account investors. Don and Donna break down the language and reasoning behind the rule. Smart investors take the time to understand the rules that govern their retirement accounts. Don and Donna discuss key elements of the Roth IRA five-year rule. When the Federal Reserve (Fed) chairman speaks, the markets listen. Don Sowa discusses the focus of the March, the Fed board meeting, and the potential impact on investors. When does borrowing from your 401(k) plan make sense? Don Sowa discusses some of the long- and short-term considerations. 2 If you are considering rolling over money from an employer-sponsored plan, such as a 401(k) or 403(b), you may have the option of leaving the money in the current employer-sponsored plan or moving it into a new employer-sponsored plan. Benefits of leaving money in an employer-sponsored plan may include access to lower-cost institutional class shares; access to investment planning tools and other educational materials; the potential for penalty-free withdrawals starting at age 55; broader protection from creditors and legal judgments; and the ability to postpone required minimum distributions beyond age 70½, under certain circumstances. If your employer-sponsored plan account holds significantly appreciated employer stock, you should carefully consider the negative tax implications of transferring the stock to an IRA against the risk of being overly concentrated in employer stock. You should also understand that Commonwealth and your financial advisor may earn commissions or advisory fees as a result of a rollover that may not otherwise be earned if you leave your plan assets in your old or a new employer-sponsored plan and that there may be account transfer, opening, and/or closing fees associated with a rollover. This list of considerations is not exhaustive. Your decision whether or not to roll over your assets from an employer-sponsored plan into an IRA should be discussed with your financial advisor and your tax professional. 3 Systematic investment plans do not assure protection against loss in declining markets. Such plans involve continuous investment, regardless of market conditions. Markets will fluctuate, and clients must consider their ability to continue investing during periods of low price levels. Investments are subject to risk, including the loss of principal. Because investment return and principal value fluctuate, shares may be worth more or less than their original value.